Test Your Business Marketing Superpowers! Over the last two decades, I have worked on marketing campaigns for a significant number of FTSE 250 companies, SMEs and well-loved brands. During that time, I have been able to identify the skills and behaviours that are vital for accelerating the growth of any business fast. 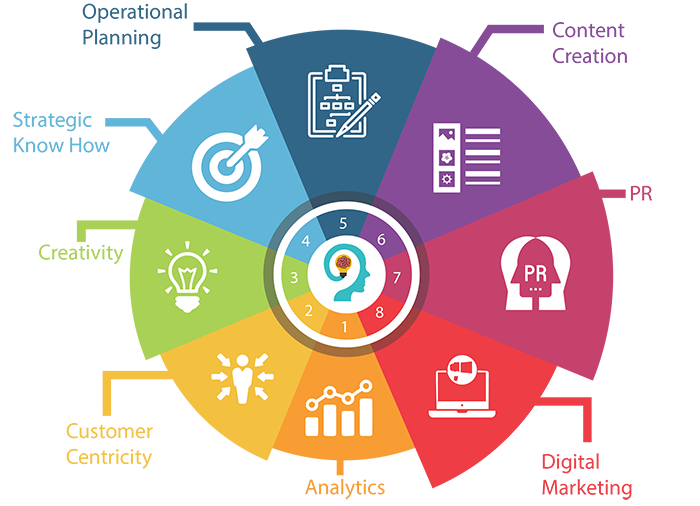 I call those skills, ‘the 8 marketing superpowers’ and they are captured in the proprietary model I use to coach and grow businesses worldwide. Want to test your own business marketing superpowers? Do the self-assessment below! Takes less then 10 minutes. Read each definition, then score yourself on the sliding scale below. You have never done any market research in support of your business and/or don't know how to measure the success of your marketing efforts. You understand the importance of market research for business growth, but don’t have the time or money to do it. You also struggle to understand how best to measure the success of your marketing efforts. You did some market research before developing your original business positioning and marketing strategy. You have metrics in place for key marketing activities and monitor results fairly regularly. You conduct market research regularly and apply insights to your marketing strategy. You have metrics for all of your marketing activities and monitor your results weekly. You're not really sure what customer centricity is, or what the value of it might be in your business. You understand the value of customer centricity, but struggle to apply it to your business in a practical and meaningful way. You understand the value of customer centricity and use a customer-centric approach when developing your marketing strategy and business operational plan. Customer centricity is at the heart of your business and drives everything that you do. You don’t consider yourself to be a creative person and as a result, tend not to apply creative thinking to your marketing efforts. You wish you could be more creative in your marketing efforts, but creativity isn't something that comes easily to you. You regularly brainstorm creative ideas for your marketing efforts and have a campaign-driven approach to your marketing. Your are well-known for your creative marketing campaigns. You're not really sure what a marketing strategy is, or how it might help you to grow your business. You would love to be more strategic with your marketing, but have no idea how to create an effective marketing strategy. You have a marketing strategy for your business and use that strategy to drive decisions regarding specific projects and tactics. All of your marketing projects and tactics ladder up to a marketing strategy and you are confident that strategy will lead to business growth. Your marketing and sales efforts are ad hoc and are not something that you plan well in advance. You also don't have an internal operations plan for business processes. You would love to be more organised with your marketing and sales efforts, but don’t have a simple framework that helps you pull it all together. You occasionally review business processes and attempt to make improvements where you can. You have a list of marketing and sales tactics that you plan to use for your business this year and know roughly when you are going to use each of them. You do a review of business processes once every couple of years. You have an annual marketing and sales plan and calendar for your business that you stick to. You also review business processes once a year and make plans for improvement. You create content for your marketing efforts on an ad hoc basis and often struggle to know what to create. You try to be consistent with content creation for your marketing efforts, but sometimes fail and feel overwhelmed by the process. You feel good about the content you create for your business marketing efforts. The content is aligned with your overall marketing strategy and is prepared in advance. You plan content for your marketing efforts strategically and well in advance, work consistently from a set of business key messages and have a methodology for repurposing your content across multiple marketing channels. You think PR is low value in helping you to grow your business. You think PR might be able to help you grow your business, but are unsure exactly how to apply PR principles. You understand the value of PR in your business and use PR tactics whenever you can. You have a PR mindset that drives you to make the right decisions for business growth at all times. You don't really understand digital marketing or how it can accelerate the growth of your business. You know that digital marketing accelerates business growth, but struggle to effectively market your business on digital channels (online and mobile). You are marketing your business on digital channels and you are having some success, but would like to learn more. Digital marketing is integral to your marketing efforts and you are entirely comfortable working on digital channels. One final step before we send you your results, which will enable you to understand where you are and where you want to be. Yes I give consent for Kelly Teasdale to email me my report and future relevant tips and tricks supporting my score.